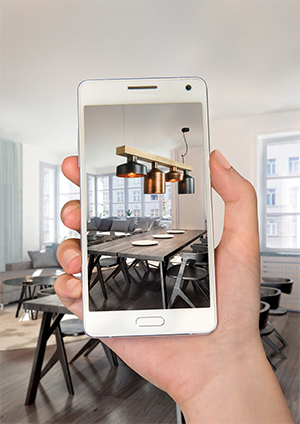 Virtual Light is an application that we deloped in order to try our lighting fixtures at your place. It uses your mobile data or wifi to load all our lights for each category you choose. Then you have to select the fixture that you like and turn your mobile phone’s camera to the direction you want to place it. Using your finger, you must bring it to the exact spot, you can also change the size and capture the picture to your mobile device. For Android devices donload Virtual Light app at the play store and for IOS at the apple store.